“Congress shall make no law respecting an establishment of religion, or prohibiting the free exercise thereof; or abridging the freedom of speech...” The Free Exercise Clause of the First Amendment to the U.S. Constitution grants all Americans the right to speak freely without repercussion, or so she thought. On May 21, 2009, one week before graduation, the Santa Rosa County school board in Northwest Florida banned Mary from speaking at her high school commencement ceremony. She will always recognize this as the day that she fell in love with the law. Due to fear that the content of her speech would violate a consent decree that the school board had recently entered in to, Mary was censored. Shortly after starting college she obtained counsel and became the lead Plaintiff in a lawsuit against the school district. After a two-year fight, the school district settled and revised their restrictive policies. It was then that she realized how much influence attorneys could really have and her interest in a legal career began. She may not have been able to give her speech on graduation night, but her voice was not silenced. Instead, she has made it a priority in her life to be a voice for a voiceless and to speak up for those who cannot speak. Through the practice of law, Mary hopes to create positive change for others, as her attorney did for her. Being a lawyer is about helping people who need help and making a difference in their lives. Before joining the Cole Law Firm, Mary spent three years in healthcare advocacy, lobbying at the state and federal levels for increased access to coverage for the underserved. It was in this role that Mary truly learned what it means to think critically and craft creative arguments; one of her favorite parts of practicing law. Mary graduated from Florida State University in 2012 with a B.S. in Political Science and Media/Communication Studies. During her time at the Paul M. Hebert LSU Law Center, Mary was a member of the Student Bar Association; the American Bar Association, law student division; the Public Interest Law Society; a Street Law instructor; a law center ambassador; and the Dance Marathon chair. 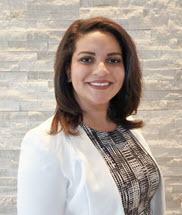 She graduated from LSU Law in 2015 with her Juris Doctor and Graduate Diploma in Comparative Law and is currently licensed to practice law in the State of Florida and the District of Columbia.